As Passenger Transport EXPRESS went to press, Congress was still in session, with tentative plans to come back between Christmas and New Year's Day to continue consideration of several major legislative efforts. On Dec. 20, House Speaker John Boehner pulled from the House floor the so-called “Plan B” proposal--which would have extended most Bush-era tax cuts for taxpayers making less than $1 million annually--when it became apparent he did not have enough votes in the Republican Conference to pass the bill. The Senate was scheduled to convene Dec. 21 after the funeral of Sen. Daniel Inouye (D-HI) and vote on the defense appropriations bill. More importantly for public transportation, if the Senate is able to invoke cloture on the Disaster Relief Appropriations Act of 2012 (H.R. 1), the Hurricane Sandy supplemental appropriations bill, it will consider amendments and may vote on the bill. This bill appropriates $60.4 billion for disaster relief, including $10.8 billion for recovery and mitigation efforts on public transportation and $336 million for Amtrak recovery. APTA has sent several letters in support of this legislation, including one on Dec. 20. APTA continues to monitor negotiations on the fiscal cliff legislation as well, with more legislative action expected in the weeks ahead. DOT Secretary Ray LaHood signed a full-funding grant agreement Dec. 19 that will provide $1.55 billion to Honolulu to build its first rail system. The 20-mile, 21-station rail line will connect downtown, the airport, and Pearl Harbor among many other sights and business centers. This announcement followed the death of Sen. Daniel Inouye (D-HI) and LaHood cited the late senator's "tireless advocacy on behalf of his state and its people." Even with dropping gas prices, Americans can spend more time and money making this holiday season a bit brighter with their loved ones courtesy of public transit. According to the American Public Transportation Association’s (APTA) December Transit Savings Report, individuals who ride public transportation instead of driving can save, on average, $806 this month, and $9,667 annually. APTA's monthly Transit Savings Report examines how an individual in a two-person household can save money by taking public transportation and living with one less car. MTA Chairman Joe Lhota has announced his resignation to explore a possible bid for mayor of New York. Having served as MTA chairman for the past year, he received strong marks from news outlets and organizations for the system's quick rebound from Hurricane Sandy. Houston METRO CEO George Greanias is resigning effective Dec. 31. He cites advances with the Buy America program, addressing FTA concerns, and creating a culture of openness and transparency as accomplishments during his tenure. 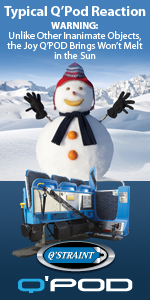 APTA would like to take the opportunity to wish all our members Happy Holidays and the best for the new year! Join us in Los Angeles, Feb. 24-27, for APTA’s 2013 Marketing & Communications Workshop. The workshop features a comprehensive educational program designed to address the needs of today’s public transit marketing and communications professionals. Topics include increasing ridership, media relations, community outreach, social media, and more! The San Diego Metropolitan Transit System is Movin' & Groovin'. The system has joined forces with five local bands to create songs and accompanying videos to serve as fun and informational announcements from a range of musical genres. The cast of Downton Abbey visited NYC recently and they visited a subway station posing with a sign showing the way to downtown trains. The San Joaquin Regional Transit District, in Stockton, CA, is rolling out all-electric public transit transit with the purchase of two electric buses from Proterra. The buses, already in use by Foothill Transit in West Covina, CA, were recently featured by Jay Leno.